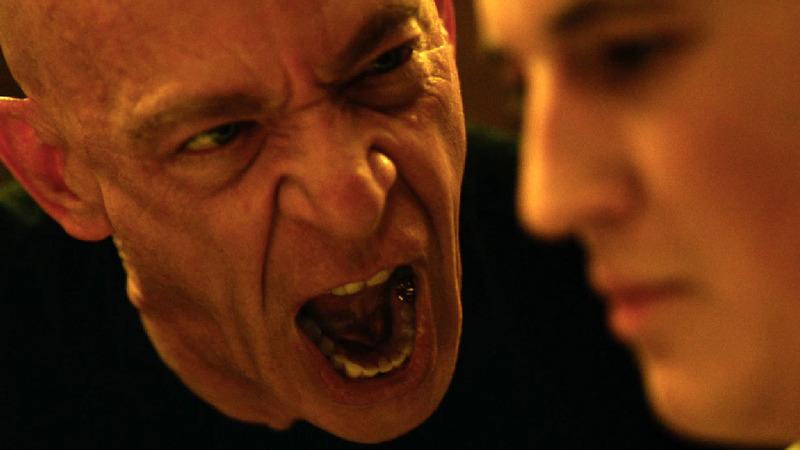 WHIPLASH is name of the piece of jazz music the band practices on in this movie, but it could also describe the effect of watching J. K. Simmons sure-fire Oscar performance. After 19 years toiling in the trenches essaying calm professionalism on Law and Order, with the occasional comic turn in film (Spider-Man’s boss) he gets to loose his inner demons as the true Teacher From Hell. ‘Ferocious’ doesn’t come close. His Academy Award was as Supporting Actor but it’s actually more of a co-lead, next to the quite good Miles Teller as his bloodied pupil/protege/victim. 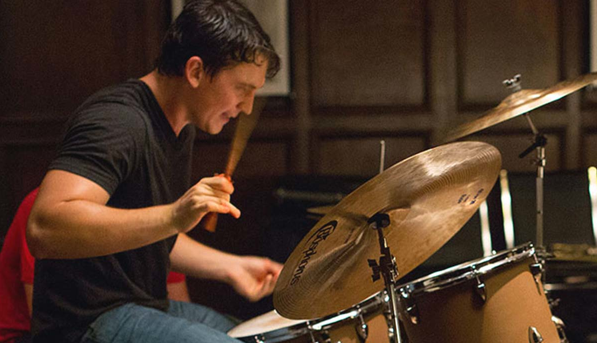 Directed by Damien Chazelle, the 2014 drama, at 106 minutes, also copped AAs for Film Editing and Sound Mixing, and features Melissa Benoist, Paul Reiser (always welcome) and Austin Stowell. 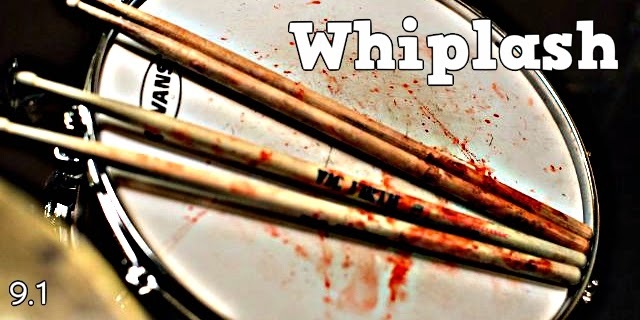 A first-year student at a prestigious music conservatory, drummer ‘Andrew Neiman’ (Teller) comes under the brutish tutelage of much-feared conductor ‘Terence Fletcher’ (Simmons), and ends up literally bleeding for art’s sake. 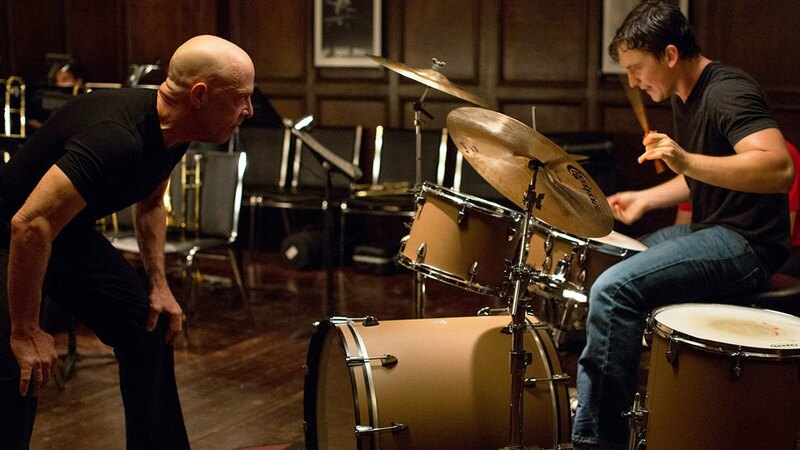 Apparently, some of the jazz community (pretty loosely defined as it is) take issue with the movies license regarding ‘practice makes perfect’, but there’s little argument over Simmons malevolent explosiveness or the staccato editing. Music’s great, too! The film was shot in suitably lightning tempo, just 19 days, and its tiny budget of $3,300,000 returned ten times over.